..... Balance Trading .....: Will Bear Market Resume Next Week? There is a good chance the bear leg that started in late April resumes next week. 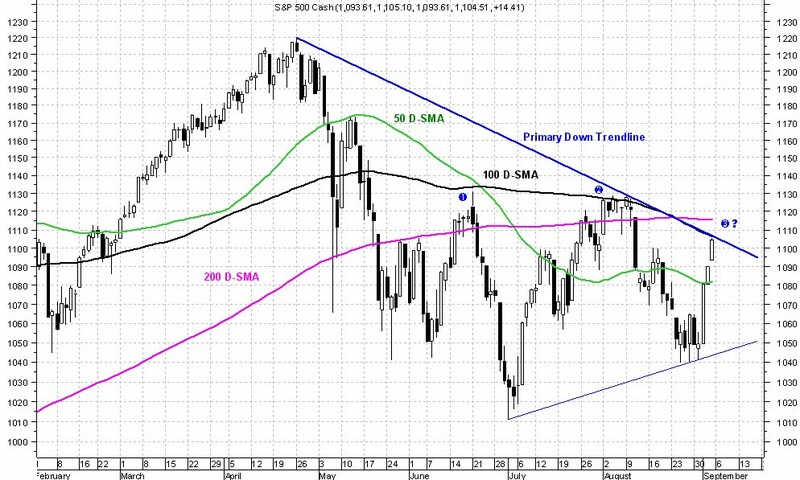 SPX is up against the primary downtrend line now which happens to coincide with the 100 D-SMA at 1105. 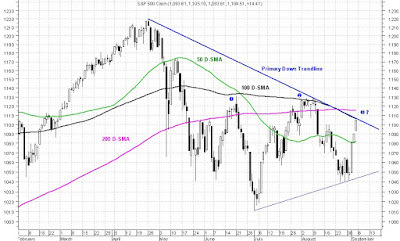 100 D-SMA has turned SPX back down twice in the last three months. It very likely does it again starting next week.